Oriental Pearl is a UK based fashion team specialised in the design and manufacture of exquisitely ornate bridal gowns and modestly prominent bridesmaid and evening wear. Unlike many other fashion companies, our distinguished range of styles is designed in-house and produced using our own highly experienced tailors. By controlling the whole design and sewing process, we can ensure that our collections match top couture standards and meet rigid timescales. 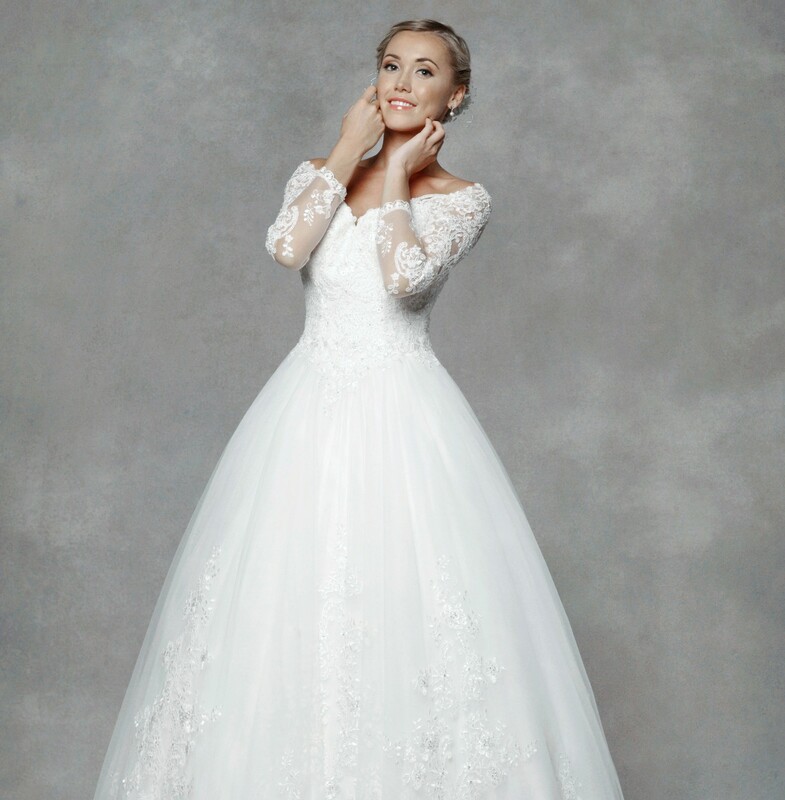 Our sumptuous bridal and evening wear is created using the highest quality silk chiffon, satin and taffeta enhanced with crystals, beading, diamante and sequins, to provide a truly luxurious appearance. Hand finishing is an essential part of the design in all of our eye-catching bridal and evening gown collections. Expert craftsmanship and creativity are key aspects in the design and manufacture of our collections, with specific focus being placed on the finest possible cut. We offer every customer a one-hour free fitting service. Bring your dreams to life with the perfect dress. It’s your day, and you should have it your way!